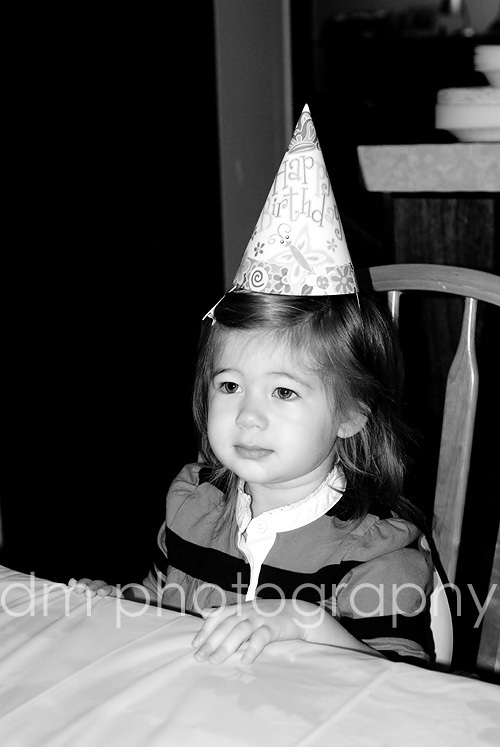 The birthday celebration continues...Grace had another birthday party this weekend. She got to spend this weekend with her a few of her second cousins this weekend (yes, I looked up the correct term in regards to cousins...who knew it was so complicated!). It was a great weekend spending time with my family. I know Grace enjoyed the time with her Grandma and Grandpa. Here she is...the birthday girl, yet again! Wow Danielle, she looks more and more like you every day! So cute!